Our client in Stonecot Hill / Worcester Park wanted to remove their tired wooden front door and replace it with a high security composite door that suited their taste. 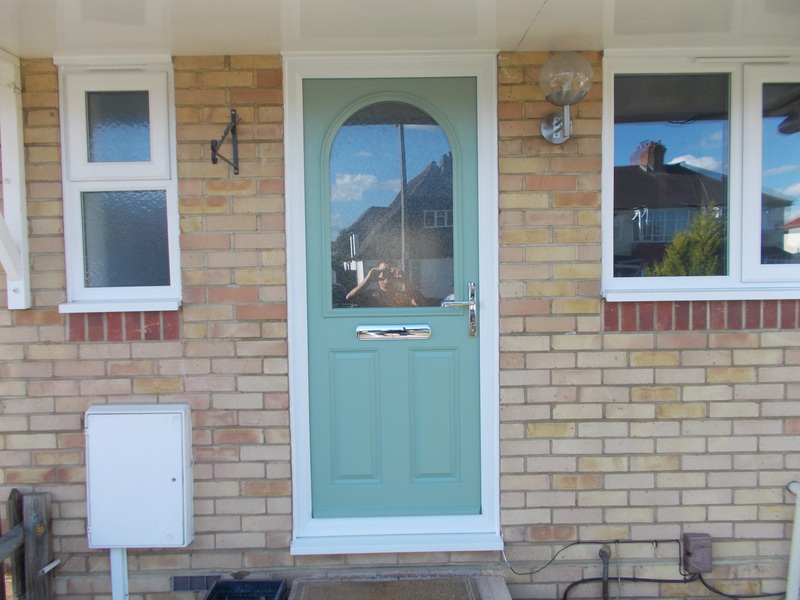 They choose a composite door in Chartwell Green Colour with a chrome finish handle and letterbox. They also wanted the side windows replaced so we fitted A Rated white casement UPVC windows with an obscure glass.